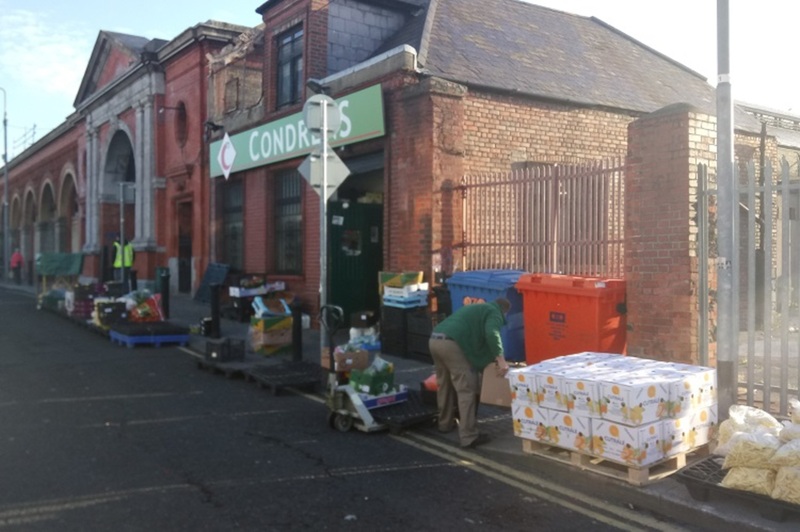 Is the End Near for Dublin's Wholesale Fruit and Veg Market? As small farmers, Andrew Ruiter’s family are used to thinking outside the box. When supermarkets introduced below-cost selling, his father diversified the family farm in Ashbourne and opened a shop on site to sell their produce directly to customers. Then in 2011, “we opened up a restaurant as well, so we have a restaurant and a vegetable shop now, all set on the family farm”, says Ruiter, a tall young man with fair hair. But neither father nor son can figure out what they will do when the Dublin City Council closes the fruit and vegetable wholesale market. 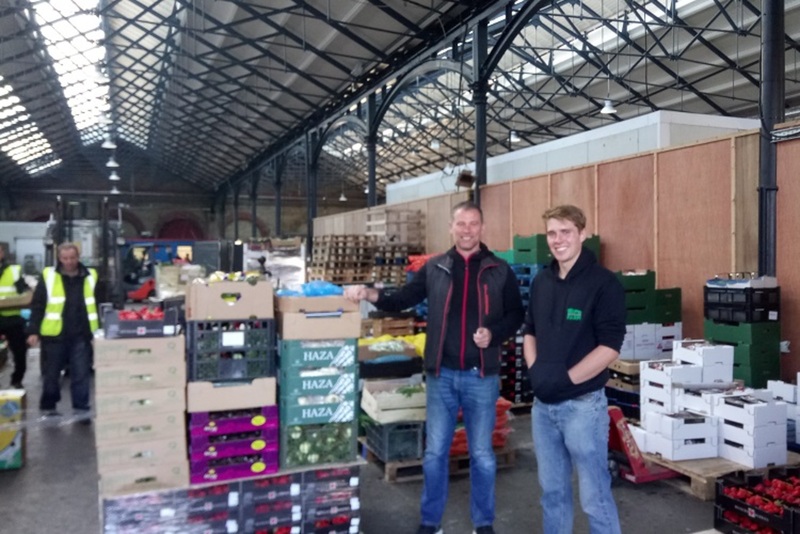 They can’t grow everything they need for the shop and restaurant themselves, so Andrew goes to the market near the Four Courts several times a week to buy fresh local produce from a specialist wholesaler, Ciaran Butler. Buying directly from different local farmers might be an option but it’s time consuming. “I’d be on the road all day,” he says. “It’ll make things a lot more difficult. “A lot of the big wholesalers don’t want to deal with you because you are small fry and for the farmers sometimes it’s not worth their while, putting seven lettuces aside for you,” he says. 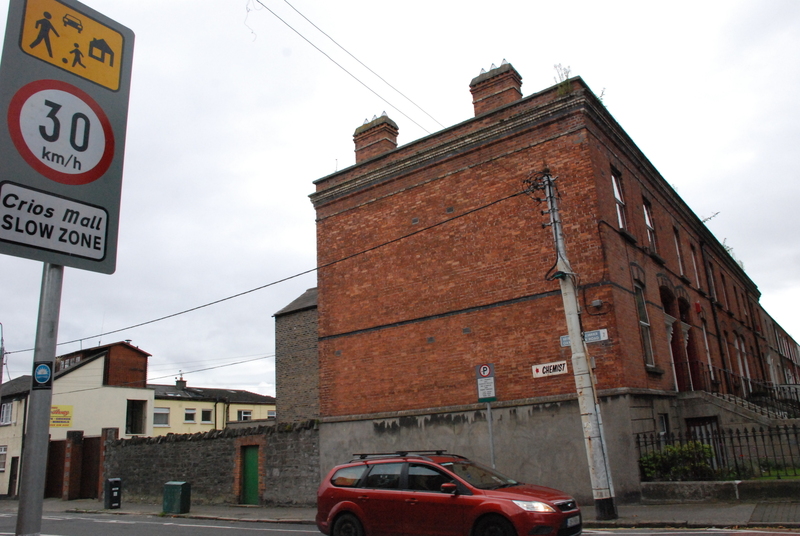 Dublin City Council has other plans for the beautiful, red-brick market building, which dates back to the end of the nineteenth century. They want to transform it into a Continental-style market, a retail market selling artisan food. There’s a possibility that the wholesalers could be included in this future, but only after a period of closure and renovation. And restaurants like Ruiter’s, and independent growers and green grocers, who buy their wares from the market, as well as the wholesalers who are based there, say their businesses might not survive the changes. Early on a recent Friday morning the Victorian market was busy. Workers wrap crates of vegetables in clingfilm, loading them onto forklifts first and then into vans. The high ceilings amplify the noise. There are ten wholesalers businesses in here, each using significant storage space for produce, but alot of the space is empty. There’s a bit of casual haggling over price and plenty of chat as wholesalers, grocers and farmers do deals. Everyone seemed to know each other. Ciaran Butler, the wholesaler specialising in Irish produce, says that the market serves a critical function for growers and grocers: it provides a meeting point and also regulates the price. “You need a market in place to have that levelling effect,” he says. The wholesalers trade with each other too, so that they can always fill their orders. Because he specialises in Irish produce, the other wholesalers often buy from him. Ruiter mainly comes to the market to buy, but he sometimes sells excess produce from his farm too, trading it against his bill. He says the closure will have an impact on the whole city and if people want fresh fruit and vegetables in their local grocers, they should be concerned about it. He isn’t against change – “The tallest tree must bend or it will break,” he says – but he would like to see the wholesale market retained as an entity, rather than each business separated. Another fruit and veg wholesaler, John Condon, who works next door to the market, says the closure will hit the small local growers the hardest. “It will be very tough on the smaller Irish grower who comes in here with one truck and he is selling 20 bags of leeks to one and 10 bags to another,” says Condon. Instead of one central location, the grower will have to distribute all over Dublin and it will take him away from his farm and “take all day”, Condon says. A grower from Lusk, John Thorne, says he sells 90 percent of his produce into the market, to several different wholesalers, and it wouldn’t be practical for him to do that if they were all spread out. The council have not consulted the growers who sell into the market, he says. “You must be joking me, they don’t care about growers,” says Thorne. Dublin City Council Press Office didn’t respond to a query about consultation with growers and grocers. In the US and parts of Europe there is a trend towards encouraging farmers’ markets and a shift in policy back to supporting small independent growers, says Ruiter, who studied horticulture. No one seems to be looking at the bigger picture, that as an island we should be concerned about our food security, says Ruiter. Damien Madden runs Evergreen greengrocers in Wexford Street. “My grandparents worked from here, we all survived from here,” he says. His business is already under pressure from supermarkets that are selling vegetables at below cost, and it won’t survive if the market closes, he says. He can’t compete with supermarkets on price, so he has to compete on freshness and quality. “I need to keep my produce sharp on the shelf,” he says. To do that he is in the market every morning at 6am, and goes around to a number of different wholesalers to select the best and freshest fruit and veg for his shop, he says. Thorne, the grower, says that if he picked parsnips yesterday, he would have washed them last night, delivered them to the market before 6am, and they could be sold in Madden’s shop today. “Within 24 hours Damien would have them on his shelves,” he says. Thorne also sells to supermarkets, and explains that the vegetables they sell were likely picked three days ago. “If I harvest on Friday, I’d deliver it to the central distribution centre tomorrow, delivered to the supermarket on Sunday and then out on the shelves on Monday,” he says. He says he cannot buy from just one wholesaler, as he needs to choose the very best products to be “a step ahead of the supermarkets”. “There is no other market,” says Madden. If this one closes, it means the beginning of the end for city-centre greengrocers he says. When the plans for the market were approved back in 2015, it was envisaged that both the wholesale market and the new retail market could co-exist. Initial plans in 2014 show the space divided evenly between the wholesale market and the new retail food market. They planned to improve the facility and hoped to have work completed by the end of 2015. 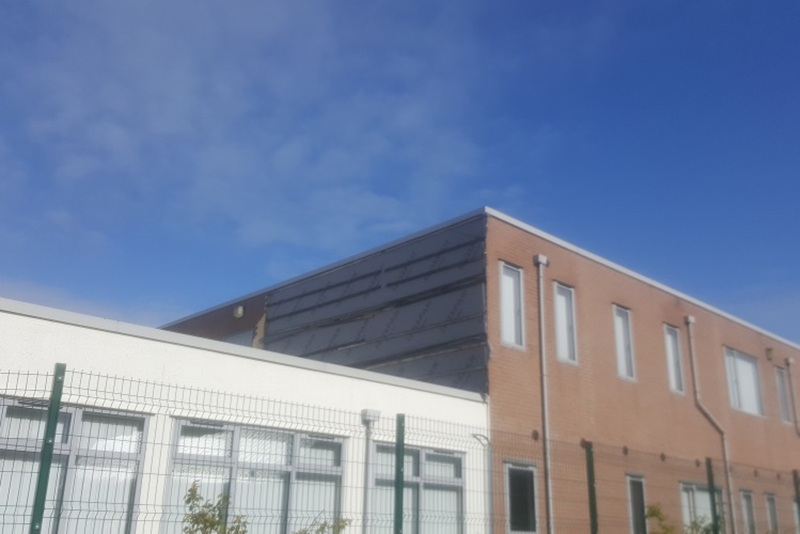 But Labour Councillor Andrew Montague, who chairs Dublin City Council’s subcommittee on markets, says that when the council went in to paint the ceilings, it cost a lot more and took far longer because the wholesalers were working there. For that reason, they now want the building to be vacant while they finish fixing it up. “It doesn’t have to be permanent … if they [traders] want to come back, that is fine,” he says. Some of the wholesalers in the market have already left. Many of these were either nearing retirement age, or perhaps their business was not thriving, he says. “The ones who are remaining are the ones that have been here for generations and see themselves as being here for generations to come,” he says. Sinn Féin Councillor Janice Boylan, who is on the council’s markets subcommittee, says her own family are traders and her mother worked on Moore Street. She wants to see the fruit and veg market reinvigorated, and the wholesalers to be accommodated within that. The pipes and sewerage at the market are severely dilapidated and major works need to take place, Boylan says. “We need to get it sorted as quickly as possible so that the work can get done, but we also need to keep their [the traders’] work going,” she says. 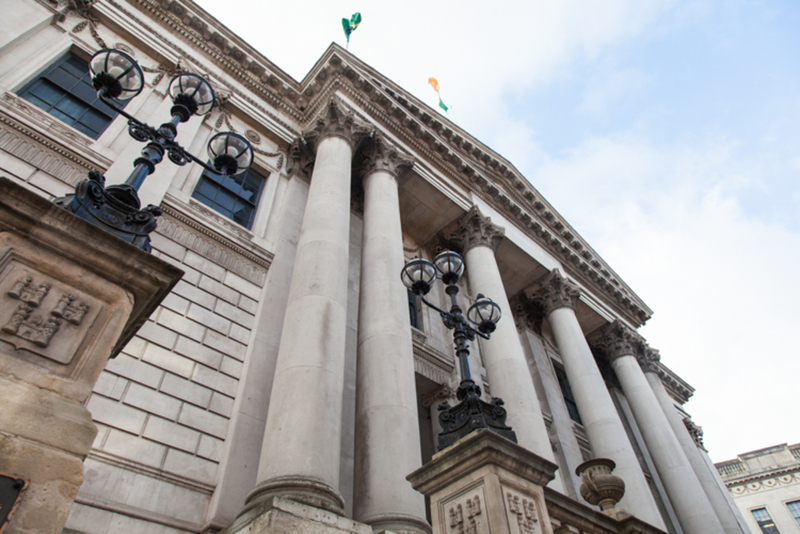 Dublin City Council management has told the markets subcommittee that every possible effort has been made to negotiate with the traders, Boylan said. 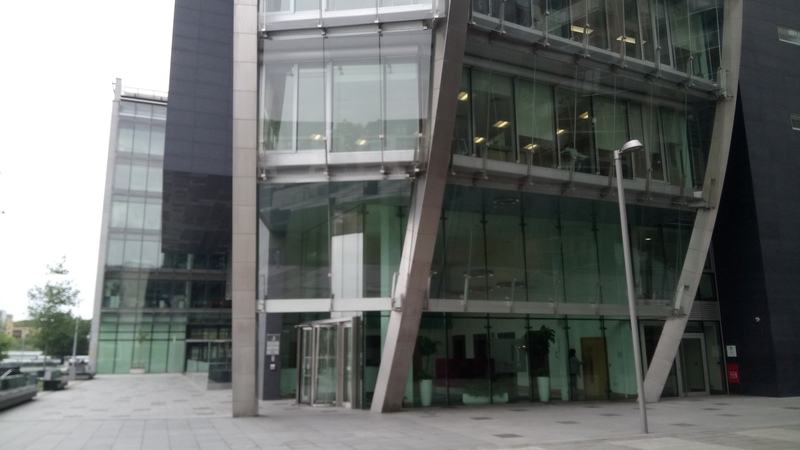 “As far as I’m concerned, [Dublin City Council] at face value have told us that they have done everything in their power to get these negotiations to work,” she said. 2 comments – if it were the other way around, and the suggestion was that high end retail be inconvenienced to accommodate the wholesale market, you can bet that the existing tenants would not be shifted, however temporarily. Montague’s example of Borough Market is telling: i knew that part of south London pre-gentrification, and if that’s the scale of transformation he envisages for the markets area in Dublin, I would be very worried. It may not be the aim of the programme, but the result is social cleansing. Second comment: why not do the fancy market up in the Iveagh and reclaim it from the speculator(s)? The market should be opened up and become a place for people to visit, buy their fruit and veg. It’s a beautiful building which should be restored and displayed with pride. I work nearby and in the mornings see trucks and fork lifts and a mostly empty market. Something needs to change. Could the growers still not have a stall and see their produce to the public? Look forward to a decent public market in Dublin. It will have no soul though if the wholesalers are pushed out. P.S. put a roof on Moore st and develop that area while you’re at it.